Lawmakers acknowledged Wednesday they are still trying to figure out what to do about foreign governments using online disinformation campaigns to disrupt the American electorate less than 100 days before the midterm elections. 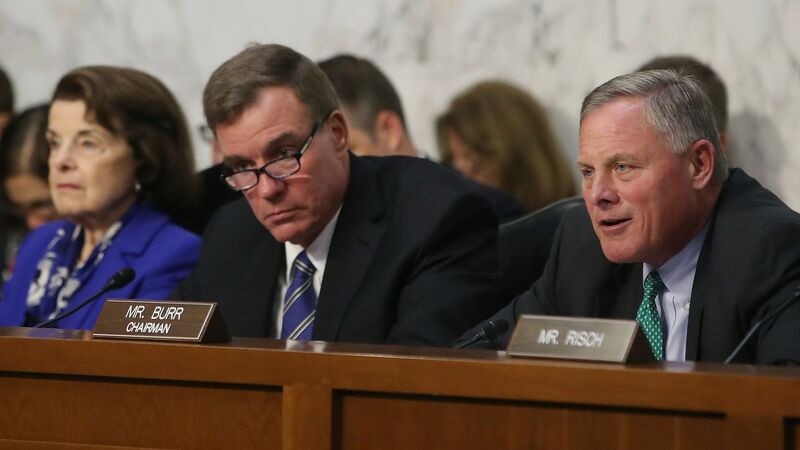 Why it matters: A Senate Intelligence Committee hearing into foreign influence campaigns came one day after Facebook announced it had identified efforts aimed at dividing Americans ahead of the midterms. "The takeaway here has to be that this is an enormous, if not impossible, thing,” said Sen. James Risch (R-Idaho) during the hearing. The big picture: It's not just Russia. The Oxford Internet Institute reported in July that there are 48 countries with "formally organized social media manipulation campaigns." That's 20 more than there were last year, according to OII. Since 2010, over $500 million has been spent by governments and political arms on disinformation efforts through social media. Some of this is attributed to counter extremism, but most of it comes from spreading misinformation. Five countries — Russia, China, Israel, the United Arab Emirates and the United States — have "high cyber troop capacity," which are working around the clock to "[shape] the information space." "The time is running out, frankly, and I think we have to move legislatively to set in motion a framework of disclosure," said Sen. Jack Reed (D-RI). "I’m optimistic that we're started on that pathway to a solution," said committee Chairman Richard Burr (NC). Yes, but: Lawmakers haven't reached a consensus on how to tackle this issue. They floated a wide range of possible solutions to the issue of disinformation online, including more transparency into bot accounts, boosting media literacy and updating the way the American military and intelligence communities approach information warfare. Sen. Martin Heinrich (D-NM) said that solutions are available and "we just need to make it a priority." Some lawmakers are wary of overstepping. Sen. John Cornyn (Texas), a member of Republican leadership, said that they should "demonstrate a little of humility when we begin to approach this from a public policy perspective." Some lawmakers continued to ask basic question about the scope and tactics behind Russian election interference and spent part of their time looking back at the 2016 election, despite having heard testimony earlier this year on both. "The Russian government came into the house of the American family and manipulated us,” said Sen. Kamala Harris (Calif.). What's next: The committee will host social media executives in a hearing next month.